Are you a baking enthusiast? If so, you wouldn’t believe the striking similarities between baking brownies and crafting effective social content. Both require precise quantities of each ingredient. By adding a cup of originality here and a pinch of creativity there, you can create an ideal mix that aligns with your social media goals. ‘Owned content’ is the irreplaceable ingredient of your social media mix. 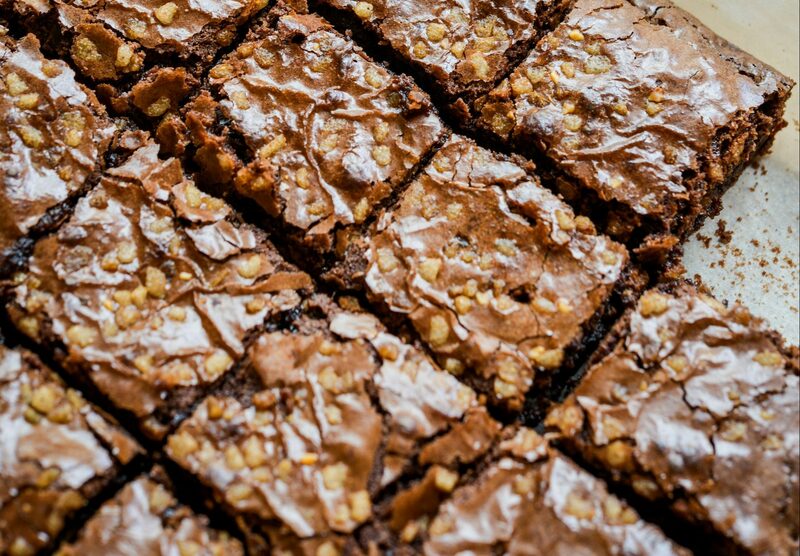 Like the flour in your brownies, it adds breadth to the company’s visibility. From eBooks to white papers, blogs, and webinars, ‘owned content’ refers to online pieces that are original and unique to your company. Typically, B2B companies have an in-house marketing team that’s responsible for crafting this content from scratch. From a data-driven perspective, original content is the driving force behind your website traffic and lead generation efforts. By posting valuable content that reflects the messaging, images, logo, and CTA (call to action) of your brand, you help to attract more relevant prospects via social media. Keep in mind, posts that link to your website have a 54% higher click-to-conversion rate. The more value your original content offers, the more prospects will perceive your business as a thought leader in the field. You may be wondering though: if original content is such a vital ingredient, why isn’t it used in bigger portions? Well, as much as we–social media managers–want to speak positively about the company, we don’t want to seem too self-absorbed. Not to mention, talking about your company tends to lower content quality in order to increase its quantity. That said, original content is a crucial ingredient in the content mix. Without it, your company’s visibility is close to zero. But if you’re really looking to increase your original content without falling into the self-promotion trap, consider adding a pinch of employee advocacy to the recipe. This is a sure way of amplifying your content reach while promoting an authentic image. Employee advocacy encourages employees to promote company content in an organic way. It enables your company to connect with prospects whom marketing alone couldn’t reach. Collectively, employees have social networks that are 10x larger than that of a company. In fact, having employees share on your company’s behalf helps to increase both engagement and lead generation, with a human touch. To learn more about how advocates can sweeten up your brand awareness, check out this article. Curated content is the cocoa powder in your brownies. As the prominent ingredient of the recipe, it adds the sweet flavor to your content mix. Staying true to your industry involves listening and verbalizing industry topics and trends. And that’s exactly what content curation does. It’s a chance for the social media manager to post materials that are not published by your brand, rather by a relevant and authoritative source in your industry. This may be an individual, organization, or publication that your audience finds valuable. Posting enough third-party content helps to position your company as a master in the field, the ‘top baker’. As such, curating content allows you to actively foster relationships with other industry influencers whom you could potentially partner with for various content initiatives. Don’t take it personally, your company alone can’t be an expert on everything! But content curation can make it seem like it is. Another important aspect to remember is ‘quality’. Just as you wouldn’t add a cheap cocoa powder to the brownies, you wouldn’t curate low-quality content. The curated content must be relevant and valuable to your industry and audience. Instead of copy-pasting the article headline and calling it a day, add some commentary! Offer more input or insight by relating the post back to your company’s bottom line. This really puts the icing on the cake! In the post above, Oktopost curated an article about GDPR-prep and tagged the company who wrote the piece. At the end of the post, Oktopost diverted the audience’s attention to it’s owned blog-post on GDPR for more information. Smooth, right? Promotional content is the sprinkle of salt added to the brownie concoction. You don’t want it too salty or not salty enough. But having the right amount will make you stand out. Promotional content includes: announcing updates through press releases, social media mentions, company awards, CEO interviews, and even customer reviews. Any content that highlights your company’s success. Keep in mind though, promotional content should still provide value to your audience. Although it boasts a personal achievement, your social posts should offer some room for individuals to experience the benefits and share the excitement with you. Why not get employees involved in the positive spirit? A big success story deserves as much attention! Even though you’re only dedicating 10% of the social mix to a promotional piece, employee advocacy can fill the void by helping you spread awareness. A perfect social content mix blends a diversity of content types. The key, however, is to know how much of each ingredient is needed to create the smoothest result. Following the 30/60/10 ratio will give you the ideal content mix for optimal social media success!